This entry was posted on Wednesday, May 20th, 2009 at 9:43 am and is filed under Uncategorized. You can follow any responses to this entry through the RSS 2.0 feed. Both comments and pings are currently closed. This is such a tough call as to which I prefer. Sure, the private tours offer you ample freedom, but I am a huge fan of group trips as well. If the quality of the group consists of people very eager and educated in wine, I find that I learn a tremendous amount by sharing in the conversation with them. When going alone, although we can choose our given destination and time frame, I lack that dynamic feedback and tete-a-tete that makes wine so enjoyable to me. Hence, I suppose it depends on my goals for that specific trip that would determine which I would rather prefer, but I don’t think I personally would rank one above the other. It depends on your levels of knowledge and confidence. If you know what you want and where to find it, the DIY route is probably better… so long as you have the time and energy to organise it. Guided tours that cater to the “cash rich, time poor” wine lover can be great or indifferent, depending on who’s doing the organising. In the Languedoc (my home patch) I’ve heard great things about VinEcole’s tours, run by Matthew Stubbs MW. We’ve read your article about organised tours versus private wine tours. While we agree with many of your comments about the pluses and minuses we feel that your article does not take into account people such as ourselves at le tasting room. We are a small French company in the Loire valley (launched in 2008) that specialises in wine tours, tastings and winery visits for interested amateurs, debutantes or professionals as well as running tastings and courses from our home in the Loire. We only cater for very small groups (around 6 people) and often for just a couple or family of 4. Our itineraries can be adapted and changed to suit any requirments and at all budgets and although we do expect to be compensated for our time, we feel that there are huge benefits of being driven around by someone who speaks the language, knows the estates, can recommend restaurants to suit any budget and has an in-depth knowledge of the area both from a professional and personal point of view. We don’t have a problem with taking bookings at short notice if we are not already doing a tour and what’s more, as we don’t have any accommodation it’s easy for our customers to see that they are getting value for money as our costs are pretty transparent. Of course, being wine professionals ourselves, we would probably fix our own itinerary if we were to travel elsewhere but being in the ‘trade’ does open doors that would not be available to the general wine consumer. Even so, if we were wanting to enjoy the food and wines of a particular region without the worry of driving (away from work), we may well use a local professional as a guide. What we would not be prepared to pay for is just a taxi service to and from wineries. Wineries that accept ‘groups’ tend not to be the most interesting to our customers anyway, they prefer to visit the ones that sometimes have run-down wineries but are run by passionate people, eager to share their story and approach with other like-minded people. Thanks Gabriella, Louise and Cathy for your comments – others please do keep them coming. Cathy, I deliberately didn’t include mention of private guides because I wanted to leave something for others to mention in comments, which you have! There is definitely room in wine tourism choices for excellent small private companies offering guided tours for very small groups – the difficulty at present for consumers is how to gauge how good these companies or even solo guides are … I have often seen debate about this on Trip Advisor. 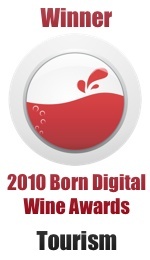 At http://www.winetravelguides.com we are hoping to address this at some point in the future. Great article, I prefer to go tasting in a large group and getting a limo to drive our party around. But I do like the idea of a smaller more intimate tasting experience.